In our shop on Kaiser-Wilhelm-Ring in Mainz you will find everything that makes a woodcraft lover's heart leap for joy. The most popular articles from our extensive assortment. To look at, hold in hand and to take home with you. to your home, worldwide and quick! via PayPal: We accept a lot of payment methods. And if you let us know beforehand also French and Spanish. incense smoker doesn't smoke or the cuckoo clock has a problem. Take a look inside our Kuckucksnest. In addition we present you some highlights from our range of products. This 1-tier tealight pyramid with large, colorful nativity figurines is eye catching. The Edge Stool Somkers by KWO are very popular. The candle arche „The Erzgebirge Workshop” has a lot of great details. 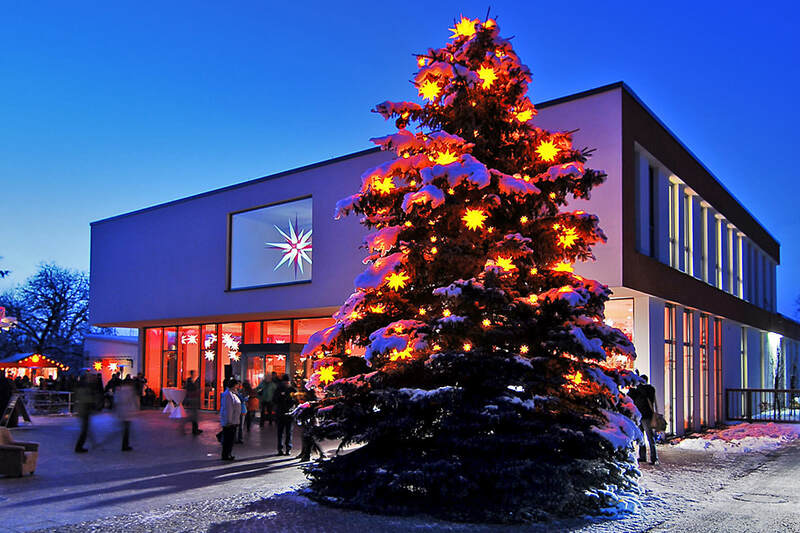 Aa real classic from the Oberlausitz region a Herrnhut Moravian Star should be part of any christmas decoration. 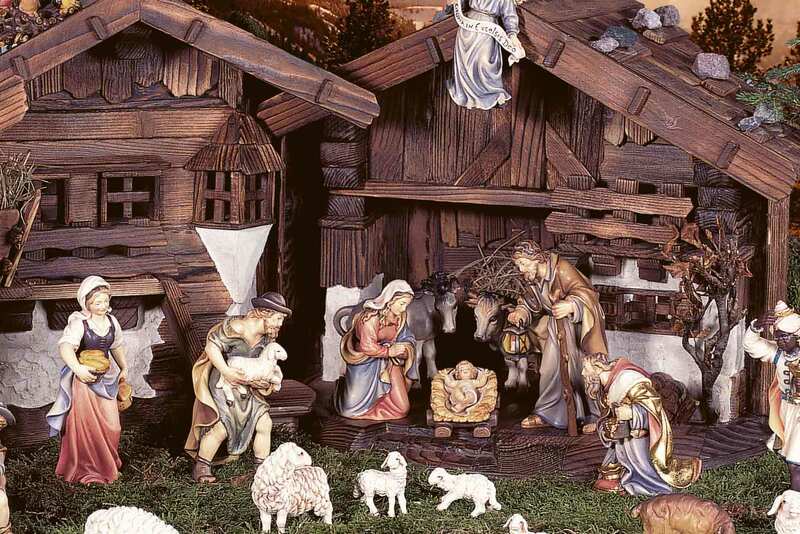 Awarded with the sought-after prize “Tradition und Form” in 1995 the Björn Köhler nativity is just timeless. There should be a guardian angel for everybody. Classic carved cuckoo clock by Anton Schneider. The quartz movement plays twelve different songs. Large Chalet by Anton Schneider with moving sawmill and lumberjack, dancing figurines and alternately playing „Edelweiß” and „Der Fröhliche Wanderer”. The beautiful Chalet by August Schwer was elected "Black Forest Cuckoo of the year" in 2008. While playing alternately „Edelweiß” and „Der Fröhliche Wanderer” the millwheel turns and you hear the cuckoo. The Bavaria Nativity offers a very good start at a low price. The figures are designed as in a typical alpine village some centuries ago and available in a lot of sizes. In his typical style these figurines by Harald Kastlunger from Brixen are designed in a fanciful way. If you are looking for a somewhat different nativity you will enjoy this one..
Alpine based, plain figures illustrate the birth of Jesus Christ. Without a base these figurines look very filigree. With its three online shops the Kuckucksnest offers the widest range of woodcraft on the internet! If you have not yet found the very thing for you on site, just browse a little through our online offers! 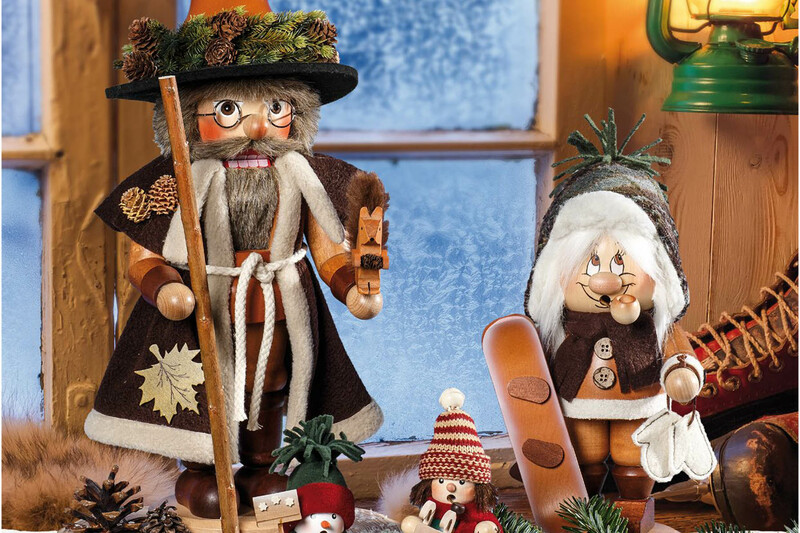 More than 5000 articles from all areas of Ore Mountain handicraft make hearts leap for joy: Christmas pyramids, candle arches, nutcrackers, incense smokers, angels, music boxes and a lot more! Clocks, as far as the eye can see! 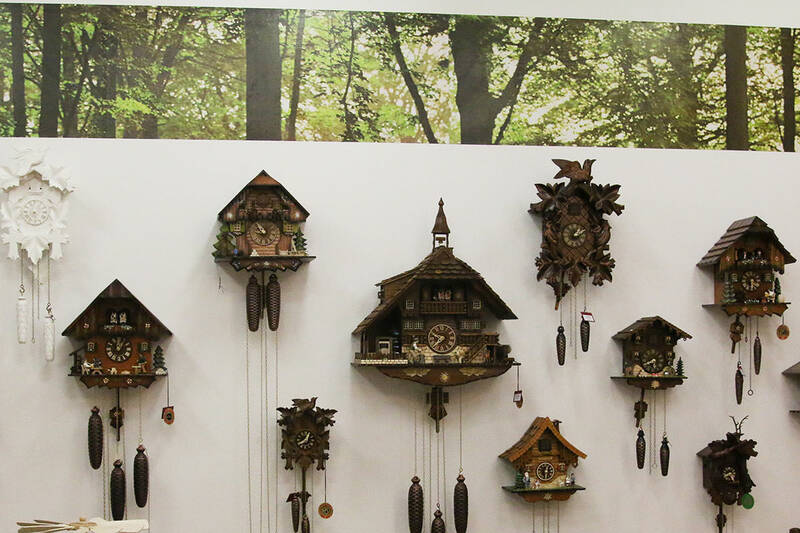 Here you will find classic carved clocks, chalets rich in decor and functions, modern cuckoo clocks or even exceptional pieces like the Dumpling eater! Flowing baroque garments, real fabric clothes, rural garb or simple modern design: Every crib is unique and with or without a stable will become a Christmas highlight for young and old! I greatly appreciate the fact that a Customs official called me. They asked the contents of the box so they would not have to open it and damage anythinng. The box shortly after arrived at my door in perfect condition. Timely and thoughtfully handled. Thank you all. The website was easily to use and the delivery was very quick. On arrival it was packed very well especially as it was an international delivery. The actual item is extremely well made and will be cherished for a good number of years to come. Beautifully detailed Pyramid Packaged well. Delivery was super fast. It is the perfect Gift for my German Born friend, who is the Chef/ Owner of his own restaurant. Price was also very reasonable for such a fine piece of artwork. You are the best The markmanship of everything is absolutely wonderfu. I have done business with your for a few years and am so happy with everything every time. Have given alot for gifts and everyone is also so impressed. You service is just subperb. Great service, lovely product would definitely use again. You will find us centrally located in Mainz-Neustadt. We are there for you Monday and Tuesday from 12:00 pm to 5:00 pm and Thursday through Friday from 9:00 am to 2:00 pm. By tram, bus or foot it is only a few minutes from central station. Bus 60 and 61 (direction Mombach) as well as tram 50 and 53 (direction Finthen) takes you directly to our shop, which is located between the stops “Lessingstraße” and “Goethestraße”. When arriving by car, please bear in mind that there are no parking lots available for visitors.